Yes, we are open during construction across the street! You may have noticed, there’s a tower called “Albion at Evanston” going up across the street! 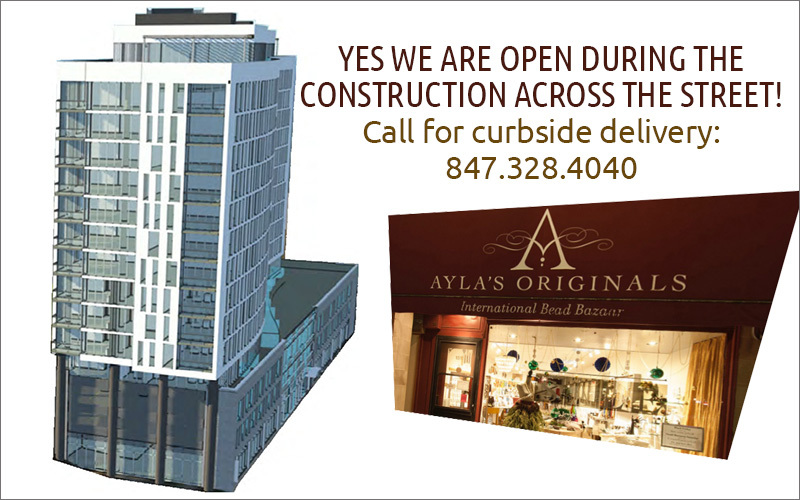 We can offer you curbside delivery at your request: 847.328.4040. Or, shop from home on our online store or our Etsy store. Let us know if there is anything else we can do to make your shopping experience more enjoyable.